Product prices and availability are accurate as of 2019-04-18 14:32:38 BST and are subject to change. Any price and availability information displayed on http://www.amazon.co.uk/ at the time of purchase will apply to the purchase of this product. 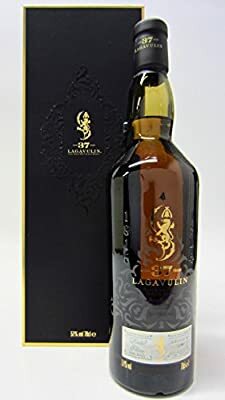 "70cl / 51.0% - STRICTLY 1 PER CUSTOMER The oldest official bottling of Lagavulin ever released. 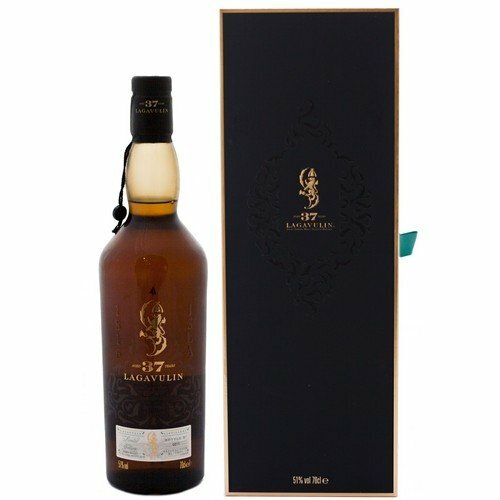 This rare, natural cask strength gem of limited release was distilled back in 1976 before being matured in refill American Oak and European Oak casks. A mucky whisky with ash and smoke that couldn't be tamed even after 37 years. Tremendous stuff, only 1,868 highly coveted bottles have been released."